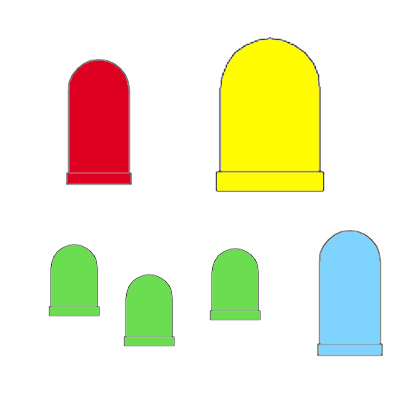 Colored silicone rubber filter caps can be used with nearly every sub-miniature lamp offered and can be formulated to meet specific X/Y color coordinates. The caps are temperature stable and can withstand reflow solder. In addition to providing color, the caps are also pliable and provide a dampening effect, often reducing breakage problems. Used with incandescent lamps, the filters provide the specificity needed when specific colors are required.